Connect music with movement, dance and speech in active participation - while having lots of fun! Learn about beat and rhythm, melodic patterns, pitch direction, tempo, solfege, syncopation, and much more with this creative collection from the pages of Music Express magazine. There is something for all elementary ages, including 16 songs and activities created specifically for lower grades, and 16 songs for upper grades. 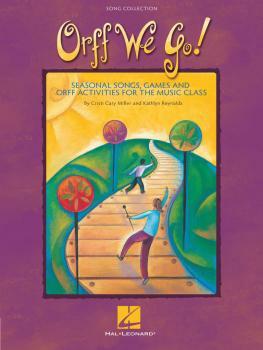 Music specialists Cristi Miller and Kathlyn Reynolds have also provided helpful teaching sequences and simple Orff or piano accompaniments for enhanced learning and participation, and the music pages are all reproducible! 32 songs including: Bunny Boogie, Can You Move Like Me? Drum Game Song, A Lizard Named Claude, Rhythm and Beat, Jump Jive, Pass the Rock, Music Makes Me Move, and much more! Available: Collection with reproducible pages. Suggested for Grades 1-6.